Today we get write to the point with Tina Pinson. I interviewed Tina a while ago. If you would like to read her first interview click here. Read to the end, she has a giveaway for you. My latest releases are Then There Was Grace and Christmas in Shades of Gray. Also the fourth in my Shadow Series — This Shadowed Land came out as well. Today I want to take a closer look at Then There Was Grace. The story was written during the month after the attacks on the World Trade Center and Pentagon on 9/11. Then There was Grace tells the story of a man Adam, who is ready to leave his wife Grace, when she is taken from him in a tragic event, leaving him to raise his twin 4 year-old daughters, Faith and Hope. 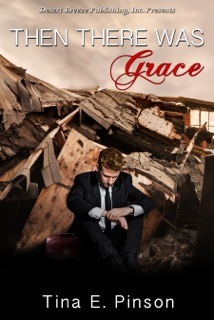 Adam walks through the aftermath, trying to deal with life beyond Grace and the grace he fills no one would ever give him when they learn he was preparing to leave Grace. I suppose it’s my attempt at trying to understand what took place and whether the human race understood how much grace God continues to give them. I probably get lazier then I should and spend more time reading. Usually when I’m not writing, it’s because I’m having a hard time focusing and getting it down on paper. The past few months life itself has offered up a struggle and I fight to get sat down and write. Well, actually, I have been getting some writing, now it’s just getting it put into the computer. I get ideas from stories I might have seen or things in life. As I said Then There was Grace came from what was happening in the world. Christmas in Shades of Gray is fictional look at my father in laws life. Other stories are taken from things that have happened in my life and many are pure imagination. Several what if’s as well. Like watching an old movie and asking myself what would happen if the characters were such and such and something else happened. I am for the most part a seat-of-the-pants writer. I say most part, because I will write up little point outlines from time to time so I remember what I thought about and need to get in the story. But I have never started a story from outline. Although since most of my stories come to me in dreams, they may be considered an outline of sorts. No, I can’t say I have. Some I haven’t even tried to get published yet. But most, I would say, I just had to take some time before I was about to get them into the hands of a publishing house. I do use some of my characteristics in my characters. I would say Rebekah from The Shadow Series is fashioned some after me. As is Sam in Touched By Mercy. Rebekah looks more like me and is somewhat of a tomboy like me, then I allowed her to do things I always dreamed of. Sam is fashioned more after my emotional character. Are you working on a new project now? I am working on a few stories, some that I’ve been working on for a time. I also started a sequel of sorts to Touched By Mercy, called Tamed By Mercy, and am working on a novella called Her Secret Garden. As a writer, one of my greatest hopes is that I leave a legacy of words that glorify God and direct others to the truth. I realize my books are fiction, but I do believe that God gifts storytellers with imagination to reach those who might not stop into a church or pick up a bible. Getting my books into the hands of readers is not an easy task, so I would covet your prayers for my writing and for each life my writing touches. Thank you so much for letting me visit today. Those who leave a comment will be entered into a drawing for an eBook copy of Then There Was Grace. Tell me how fiction has touched your life? Thank you, Tina, for visiting with us today. Readers, let Tina know how fiction has touched your life and you will be entered in a drawing to an eBook of her book. Leave your comment by May 7th at 5:00 pm for your chance to win. I am really loving this book. The mystery and gothic kind of feel appeals to me. I am finding I do like books that are a bit out of the box and this one is, in a good way. I read the first book awhile ago. I think I like this one even more than the first because I understand Julia better now. She is pulled along by other people’s choices yet she has a mind of her own. I never see her as being weak, but is a woman who just doesn’t know her true identity because it’s being kept from her. Isn’t that what the enemy does to us in life? He steals our identity, whispers lies about who we are, makes us question what we know to be true and then we wonder who we really are, who did God create us to be? Yes, this book is a good picture of that. Grab your own copy at your local bookstore, Amazon, Barnes and Noble, Chrsitianbook.com, Deeper Shopping or Books-A-Million. The moon is a beautiful piece of work by our Master. I am enthralled by its beauty, how about you? Do you ever pay much attention to the moon, do you ever just really look at it? Well, today we are going to think about the moon and what we can learn from it. I was actually surprised by the lessons we can learn from the moon as I began to really think about it. I hope you will be too. How does the moon shine? Does it have it’s own personal, internal light source? The answer, or course is no, it does not. The moon can only shine when the sun is shining on it. The moon is at its height of beauty when it is full and big and bright. That’s when the side of the moon that is completely lit up by the sun is facing the earth fully. Without the sun the moon would be a big ball in the sky that we would never see. But with the sun shining on it, the moon is truly something to marvel at. The moon is still beautiful even when it is a half-moon, or a just a sliver, it is still a wonder because you can still see it shining. Another thought is that at night we don’t see the sun itself, but we see the moon reflecting the light of the sun. The sun is there, we don’t doubt it, we accept that it’s there and is shining on the moon. Do you know what I find even more amazing? When you can still see the moon shining and the sun is rising at the same time. You can’t see this every morning. But once in a wonderful while you will get to witness this sight. Think about it….the moon is still shining in the morning light and the sun is not only bathing the moon in light but is coloring our sky as well. Now take this even further. As the sun becomes brighter the moon begins to fade. It looks almost transparent. You can still make it out but the sun is shining stronger and brighter than the moon at this point. I think this is how God wants us to live. We should be like the moon, reflecting the Son into the dark world. Do you reflect the Son into the lives of the people around you? Are you a full moon, a half moon, just a sliver? God wants you to shine fully for Him, He wants you to reflect his Son into this dark, dark world. At first people may just notice you shining. They may not understand what makes you shine, but they are drawn to you. This is the time the moon shines and we do not see the sun. Then, as you do that the world will see less of you and more of the Son. We will begin to fade, we will be transparent with our hurts, our heartaches, our joys and the Son will shine brighter and brighter not only in our own lives but in those around us. Oh, I understand pride. See less of me? But I want the world to see me. The world will see you, the world will see you shining with the light of the Son. All your selfish desires, your wants will fade as the Son shines brighter into your life and the lives of others. One of the most important things we can do is become transparent. This is a huge step, I understand, it’s a scary step. Becoming transparent means allowing yourself to be vulneralble. But unless we do that the Son can not shine as bright in your life as He longs to. So the question is….will you let Him, will you start by reflecting the Son into our world and are you willing to give up yourself and all that you want so the Son may shine brighter? Are you willing to let others see who you really are? I dare you. I dare to live in such away that you are transparent and the world can see the one true Son shining brightly in your life. Mindy Starns Clark Mindy Starns Clark is the bestselling author of the inspirational Million Dollar Mysteries, the Smart Chick Mysteries, and three standalone mysteries, as well as the nonfiction books The House That Cleans Itself and A Pocket Guide to Amish Life. Her novels include A Penny for Your Thoughts, Don’t Take Any Wooden Nickels, A Dime a Dozen, A Quarter for a Kiss, The Buck Stops Here, The Trouble with Tulip, Blind Dates Can Be Murder, Elementary, My Dear Watkins, Whispers of the Bayou, Shadows of Lancaster County, and Under the Cajun Moon, plus other books! 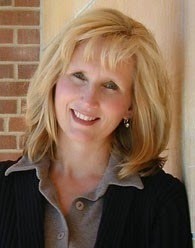 Susan Meissner is a multi-published author, speaker, and writing workshop leader with a background in community journalism. Her novels include The Shape of Mercy, named by Publishers Weekly as one of the 100 Best Novels of 2008 and a Carol Award winner. She is a pastor’s wife and the mother of four young adults. 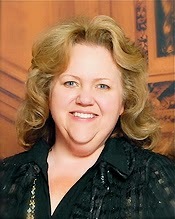 When she’s not writing, Susan writes small group curriculum for her San Diego church. Visit Susan at her website: www.susanmeissner.com, on Twitter at @SusanMeissner, or at www.facebook.com/susan.meissner. Rachel Hoeck is the young woman waiting for Tyler’s proposal. She senses that though he loves her and wishes to make a commitment to her and his Amish beliefs, part of him still wonders whether an Amish lifestyle is truly for him. When an opportunity to connect with his father unexpectedly arises, a visit to California causes Tyler to question everything, including a future with Rachel. Will the new girl in his life, Lark, cause him to remain in the Englisch world? 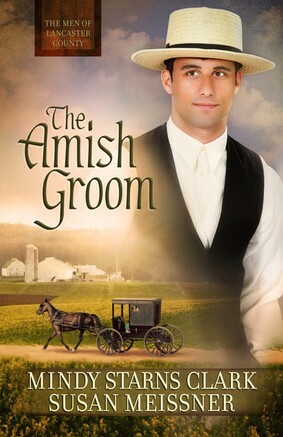 Or will he choose to be an Amish groom after all? This is the first book I have read by either of these authors but I have heard great things about both of them. The thing I have to remember about Amish fiction is that it isn’t always as fast-paced as I might like it to be, and that’s okay. I think it goes with the Amish way of life and that’s the way you should read Amish fiction, savoring every detail and word. The authors do a great job of setting the stage for Tyler’s Amish life in the beginning. It gives the reader a great picture of where he is right now and this internal struggle he is going through. The book is in Tyler’s point-of-view but a woman reader can easily relate to him. He’s struggling with his identity. Raise your hand if you have had this same struggle. I can pretty much guarantee that every single person has had this same issue at some point in their lives. If we don’t know who we are in Christ it’s hard to live a satisfying life. Actually, it’s impossible. Tyler is on a mission to discover who God says he is and not who other people tell him he must be. I love that. I also loved how after Tyler had been praying for God to make things clear and an opportunity arises he totally questions God, thinking this isn’t what he had in mind. Yikes! Isn’t that so relatable? Another example of how God’s ways are not ours and His thoughts are higher than ours. If you enjoy Amish fiction I think this is one you will want to pick up. A copy of this book given to me by the publisher through the Christian Fiction Blog Alliance in exchange for an honest review. Today we get write to the point with Laura Jackson and her book Worth the Wait. She has a giveaway for you so read until the end! I’m originally from a small swamp town in Louisiana, but since I moved to Texas when I was nine, I consider myself a Texan. I taught middle school language arts and loved writing with my students. When I became a librarian four years ago, I missed writing and attempted my first novel. I was young. My mom didn’t write down the date, but I was about five. One of my earliest memories is being on my knees at church, praying for my dad to get saved so he could go to heave with me, my mom, and my sister. 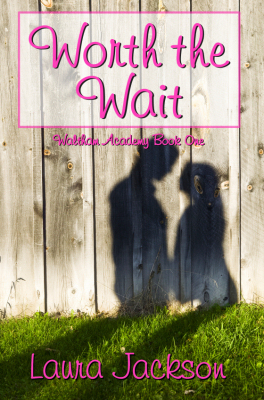 In Worth the Wait, Ellie has to learn that God’s plan is always worth the wait—even if it’s not what she planned. Even when life was a mess, God was at work. I hope readers walk away looking at their own circumstances, even the hard ones, realizing that God is working in their lives and what He has in store is worth the wait. My blog (http://authorlaurajackson.blogspot.com/) started as a book review blog for one of my graduate classes, and I kept doing reviews. I post randomly about life and books. My most regular day is Fridays where I link up with other blogs for Confessional Fridays, where I share a little bit about myself. It’s usually random things but sometimes I open up a little more. I’m a school librarian, so I’m surrounded with fantastic books all day, and then I go home and read a lot. So, this question is almost impossible. Sold by Patricia McCormick is amazing—opened my eyes to human trafficking. When my dad was diagnosed with pancreatic cancer, his doctor told him it would either divide our family or bring us closer than ever. We’ve always been close, hanging out at least once or twice a week. But, it did change our relationship in that it became more intentional, more precious, and even stronger. Through his cancer, we all grew closer to each other and to Jesus, which was the only way we could walk that journey together. Watching my parents, I learned what it means to love in sickness and in health. Watching him lose his health reminded me that each day is a gift from God to use for His glory, not my own. Being by my dad’s side when he took his last breath and the peace that filled my parents’ bedroom at that exact moment sealed my belief that at the second of death, we are with Jesus forever. What a day that will be! I don’t want to share too many details that involve other people, but God used my dad’s cancer to bring back people to Him. Several people shared what an example he was to them, and one even came back to the Lord after years away through my dad’s testimony. I miss my dad every day, but I’m thankful that God used even something as horrible as cancer for His glory. Philippians 4:11b is on my heart/mind the last year or so. In my words it says that in all things, be content. I have certain goals/desires/dreams that seem so far off. I want to be content with where He has me even if it’s not what I would pick for myself. Thanks for having me. Great questions! 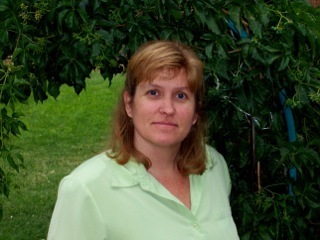 Thank you, Laura, for spending some time with my readers, I know they appreciate it. Readers, Laura is giving away a copy of her book, paperback for U.S. residents or ebook for readers outside the U.S. Leave a comment by April 29th at 5:00 pm to be entered. In 1944, blonde and blue-eyed Jewess Hadassah Benjamin feels abandoned by God when she is saved from a firing squad only to be handed over to a new enemy. Pressed into service by SS-Kommandant Colonel Aric von Schmidt at the transit camp of Theresienstadt in Czechoslovakia, she is able to hide behind the false identity of Stella Muller. However, in order to survive and maintain her cover as Aric’s secretary, she is forced to stand by as her own people are sent to Auschwitz. Wow. I don’t know what else to say. This book is a masterpiece, truly beautiful. If you love Esther’s story in the Bible, if you love historical fiction, if you love romance, if you are intrigued by WWII, by the suffering the Jewish people endured, then you will LOVE this book. I did Beth Moore’s study of Esther a few year ago and I think that really gave me a deeper understanding of the characters in this book. That is a powerful study. Stella’s (Hadassah) story is amazing. The strength she has to face her enemy, to live with the enemy and feel herself fall in love with enemy and then to wonder if he really is enemy at all? What is Aric’s story? There is something about him that doesn’t add up to he monsters who are killing the Jews. I love Stella’s struggle with Christianity, and her friends who have shared Jesus with her in the past. Jesus is stirring in her even when she wants to deny Him. Honestly, when I first got the book I was worried I would regret requesting it….well, there are no regrets here. And you won’t have any either if you pick this one up. So why don’t you 🙂 I give this one a big 5 stars. In this new fairy tale reimagining from award-winning YA author Melanie Dickerson, Gisela’s life consists of cooking and cleaning for her stepmother and stepsisters, with little time for daydreams. When she discovers the duke’s son, Valten-the boy she has daydreamed about for years-is in search of a wife, she is determined to get an invitation to his upcoming ball. But once she meets her Prince Charming, other forces are determined to halt her happily ever after, putting Gisela in more danger than she ever imagined. 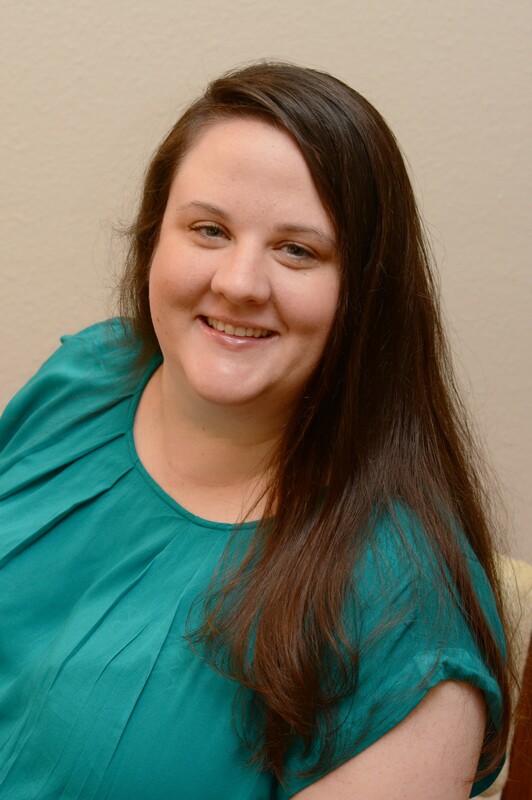 Consistent seller and award-winning author Melanie Dickerson’s previous books-The Healer’s Apprentice and The Merchant’s Daughter-have sold well across multiple channels. 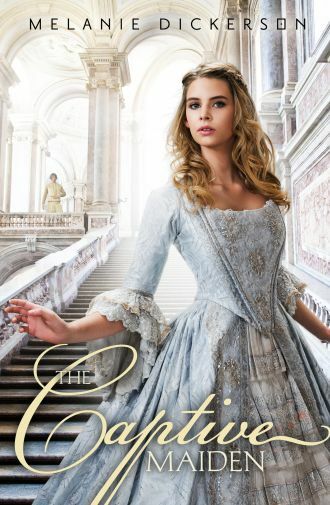 She is looking to continue her momentum, as fairy tale retellings continue to be a strong trend among readers, providing a historical romance that puts a new twist on the classic story of Cinderella. This might be a young adult book but any woman who loves a good fairytale, or historical romance will adore this book. This is the first book I have read by Melanie but I am planning on reading more. If the others are as good as this I may have found another author I need to keep my eye out for. If you know the story of Cinderella then you get the general idea for this book but it is different. Gisela and Valten meet before the ball and Valten is smitten by Gisela. Valten is a strong hero who will do what it takes to protect Gisela, he does this even before he knows her. Sigh. You will see Gisela emerge from a scared young woman into a woman who blossoms under the love of a hero. Just as we do under the love of our Savior. I had a feeling of anticipation the whole time I read this book. I couldn’t wait to see how Melanie would handle the storyline and the love between the two main characters is heart-twisting. This is a must-read for any historical romance lover and a great read for your teen who enjoys reading as well.